⚡ Understand the risks associated with hydraulic fracking, AKA fracking, an oil/gas-extraction process that industry is pushing to launch in the UK in 2018. In the last few years, there has been a lot of opposition to fracking (hydraulic fracturing, a method to extract oil and gas that involves injecting pressurised mixtures of chemicals into the ground). In the UK, we’re yet to see any fracking take place — regulators and protestors have slowed the process down. But that could change soon — as of February 2018, the oil and gas industry is pushing for fracking to start this year. If you’re wondering what the fuss is all about, watch Gasland. 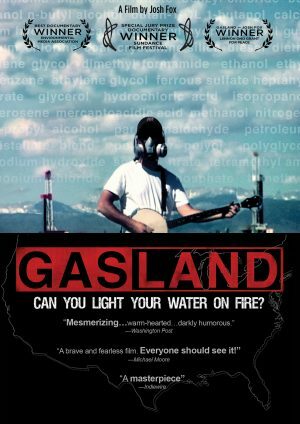 The film’s creator, Josh Fox, takes a tour around areas of the US where hundreds of thousands of fracking wells had been dug. And the damage inflicted on the environment and the health of people living near the wells is pretty terrifying — in several scenes, water pouring from the tap in someone’s home is so polluted with natural gas that the water can be ignited with a lighter. Their tap, their source of drinking water, had basically become a bunsen burner. It’s insane. If I watch the sequel, I’ll write about it here.